Fort Worth police officers responded to an animal call Wednesday night and ended up saving some ducks’ lives. After a mother duck was hit in the road, her 13 ducklings became “distraught.” One fell down a manhole, but Officers Bengal, Connor and Burks were able to save “Lucky #13”. 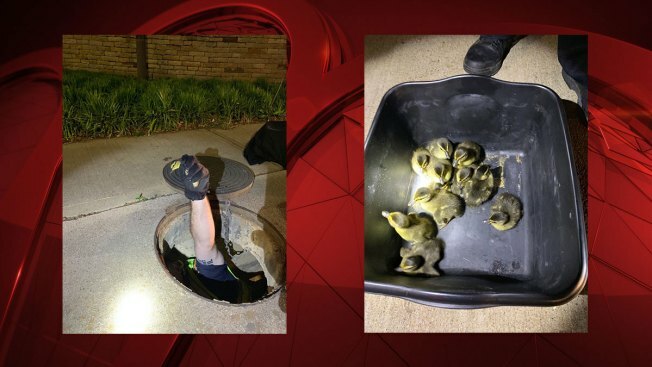 Fort Worth Police shared photos of the ducks being rescued on their Twitter.